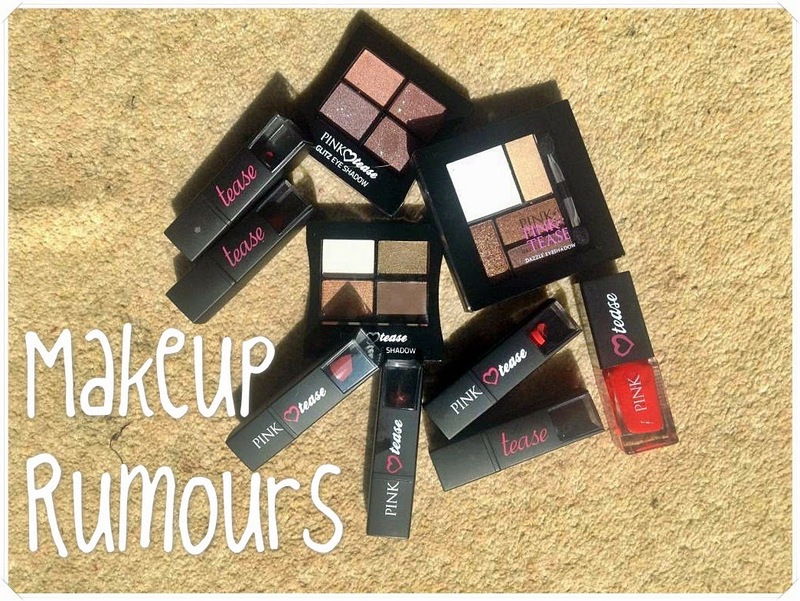 Recently, Makeup Rumours kindly gave me a £10 voucher to use on their online shop. I wasn't familiar with the brand, but with prices starting from just £1, I was eager to try them out. 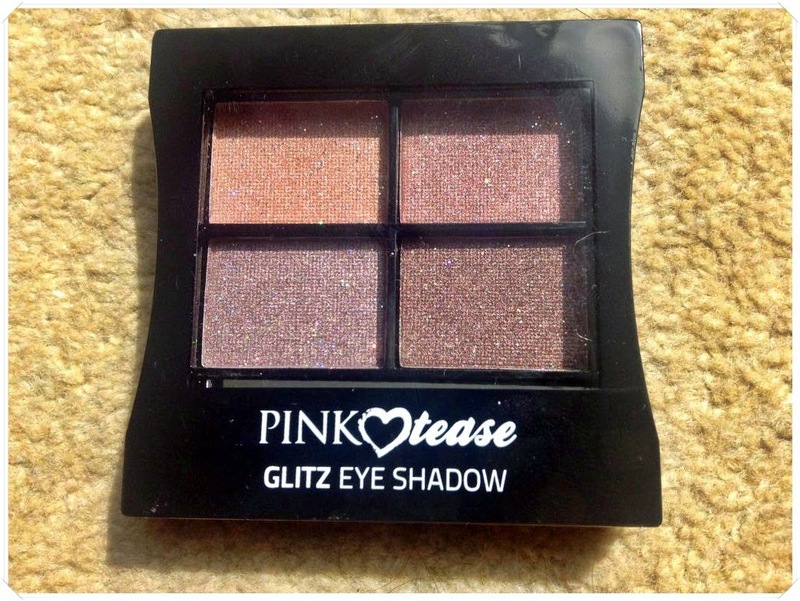 I picked up a few bits and bobs from the "Pink Tease" range, and I thought i'd show you what I got, and what I thought of them all. Overall, I thought the website is relatively easy to navigate, and it was super quick delivery, I got it the next day! The one thing I hate is the packaging, I think it looks really tacky, particularly the writing. And, on the lipsticks the writing changes, which I really don't like. That's just a personal thing though, don't let that put you off though, the product are pretty great! 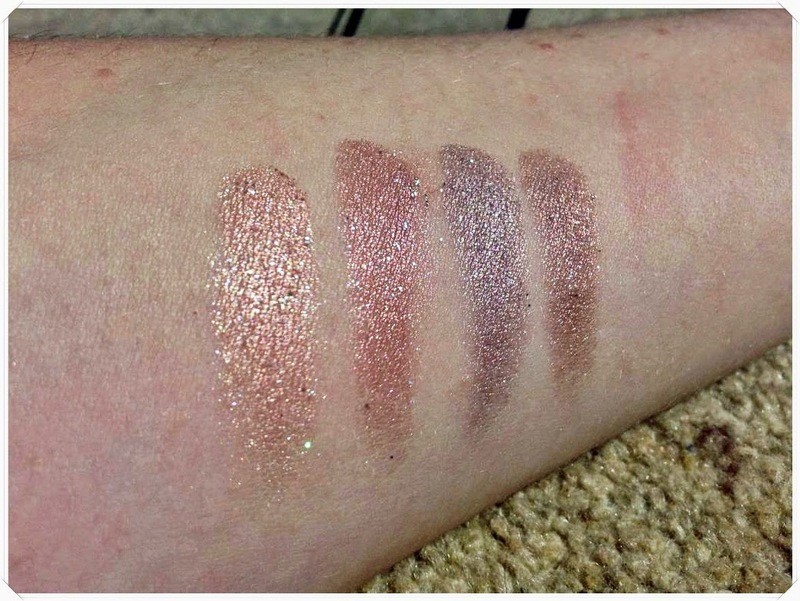 I think the swatches really speak for themselves in this case. They are so pigmented. 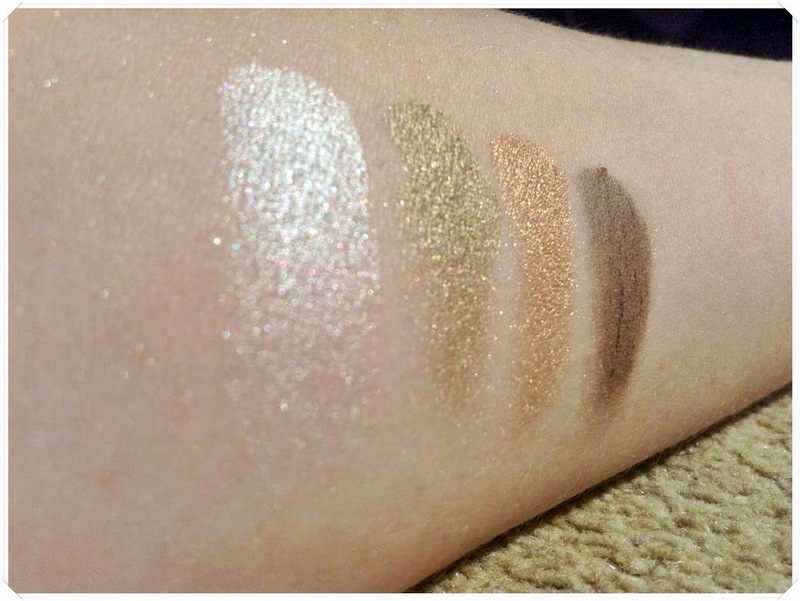 I'll admit, I was super shocked when I swatched them, as considering this was only a mere £1, I wasn't expecting it to be great. I was proved wrong. Aside from the packaging, I really can't fault this product. 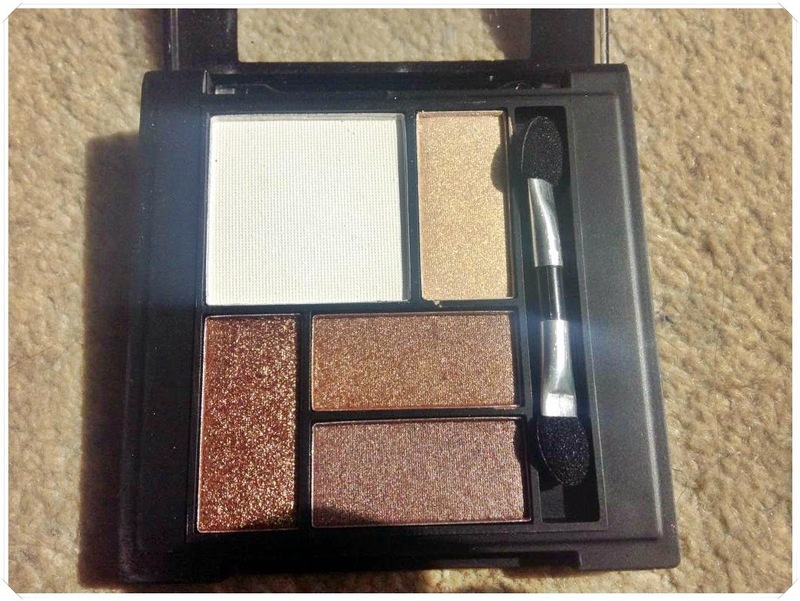 Every single shade is really wearable bth for daytime and evenings, which is great for me, as I rarely wear anything other than neutral colours on my eyes. Another great thing is that the darkest brown shade is perfect for my eyebrows. I've not had any problems with fall down, and the eyeshadow stayed put on my eyes all day. If you're interested, you can buy it here. 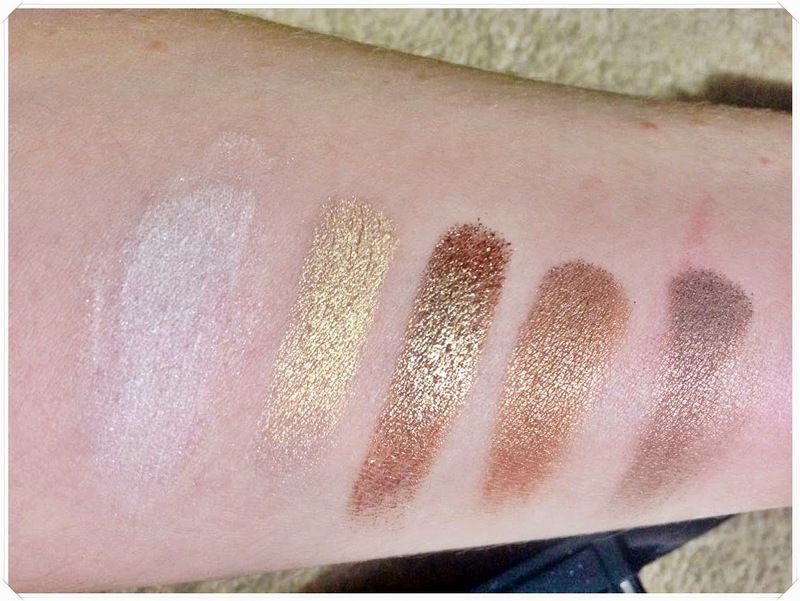 Once again, you just need to look at the swatch too see how amazing this palette is. 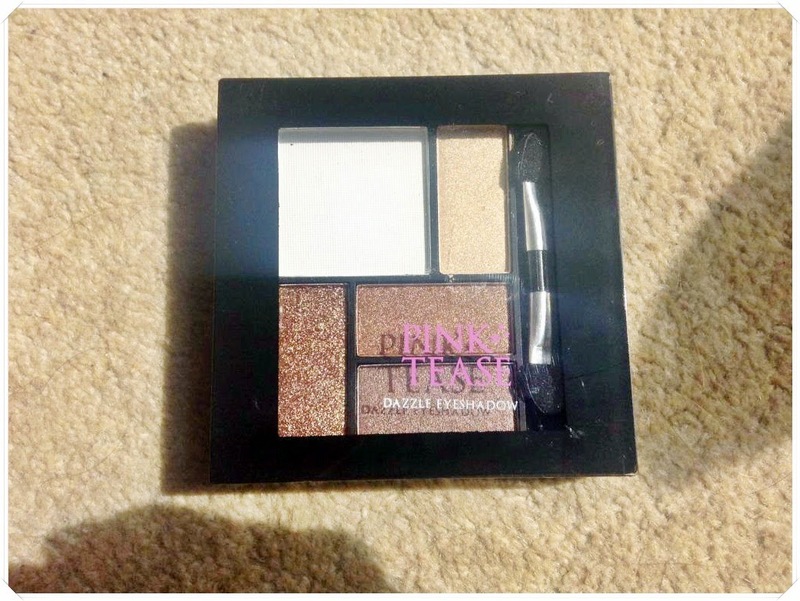 The colours are so shimmery both in the palette, and once they've been swatched, and I think they'll be amazing for nights out, or special occasions. I especially love the metallic purple colour (third colour along in the swatch) which I think will add a bit of colour to my eyes, but not too much. Again, very wearable shades. Also, sometimes I really struggle to take off glitter shadows, but these were an absolute breeze to get off. 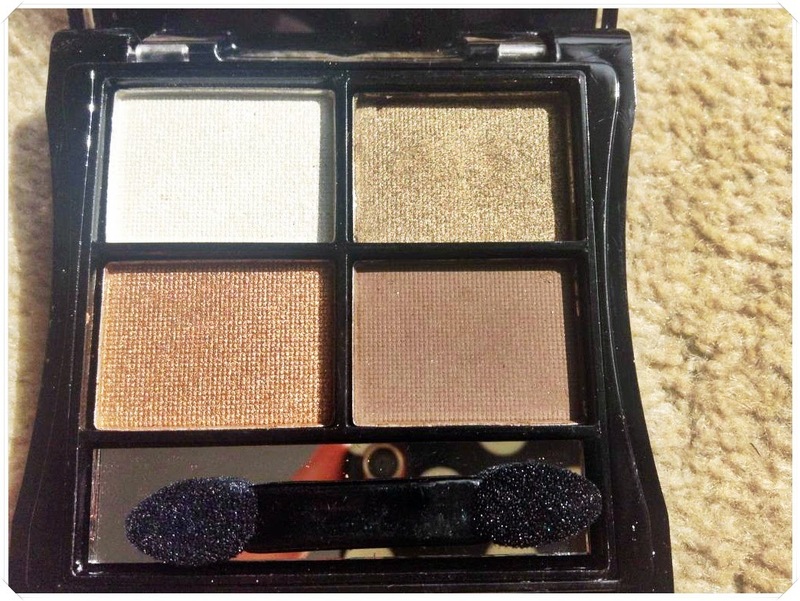 There isn't much else I can say about this palette except that it's just as good as the previous two. 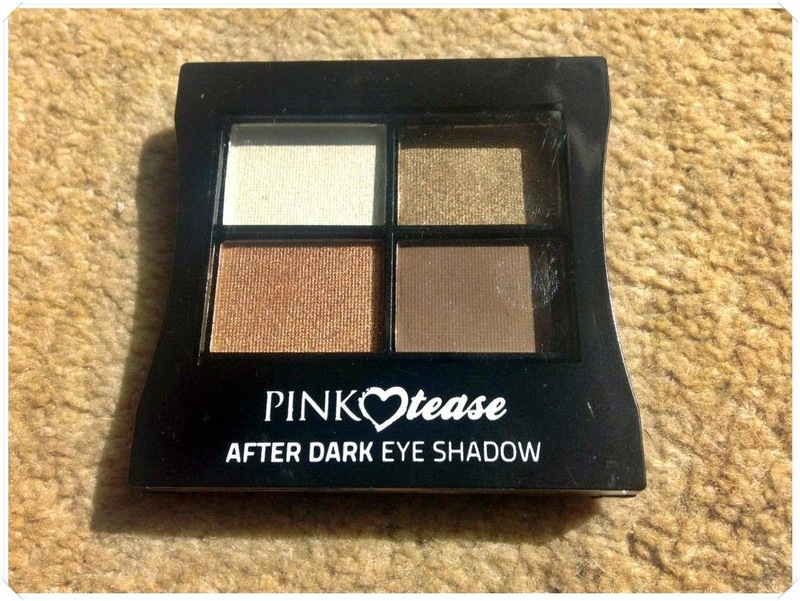 Really pigmented (except the white), really wearable, doesn't smudge, no falldown, and an absolute bargain at only £1! I am so impressed with these. I also picked up one nail varnish, and I am overall impressed. 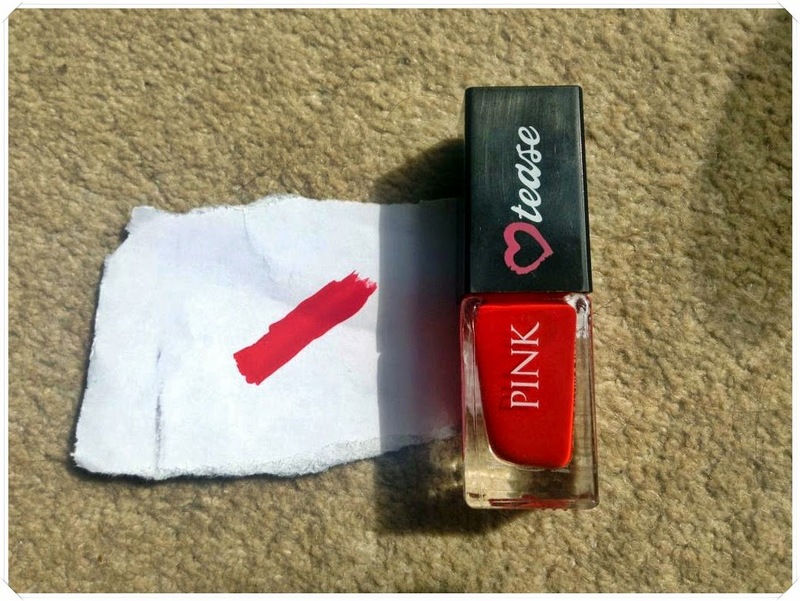 It's an absolutely beautiful colour, although not what it looks like in the bottle. After two coats it was completely opaque, and this stuff dries seriously super fast. One downside is the smell, it's so overpowering, I had to open all my windows in my room to try and get rid of the smell, it stinks! Also, the lid on mine is broken. The black covering comes off if I pull at the lid, leaving a small screw cap. However, i've had this on my nails for three days now, and it's not chipped, whihc, for £1, I think is pretty amazing. You can get this gorgeous polish here! 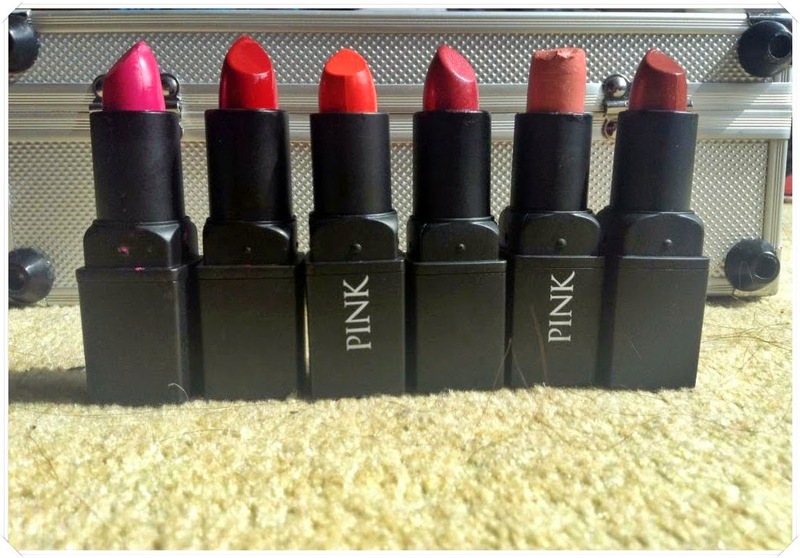 Finally, I went a bit lipstick crazy, and I picked up six. (oops!) But, when they were only £1, I really couldn't resist. I wasn't sure what to expect from them, but I was not disappointed! These are my favourite purchases from Makeup Revolution, because quite frankly, they are amazing. 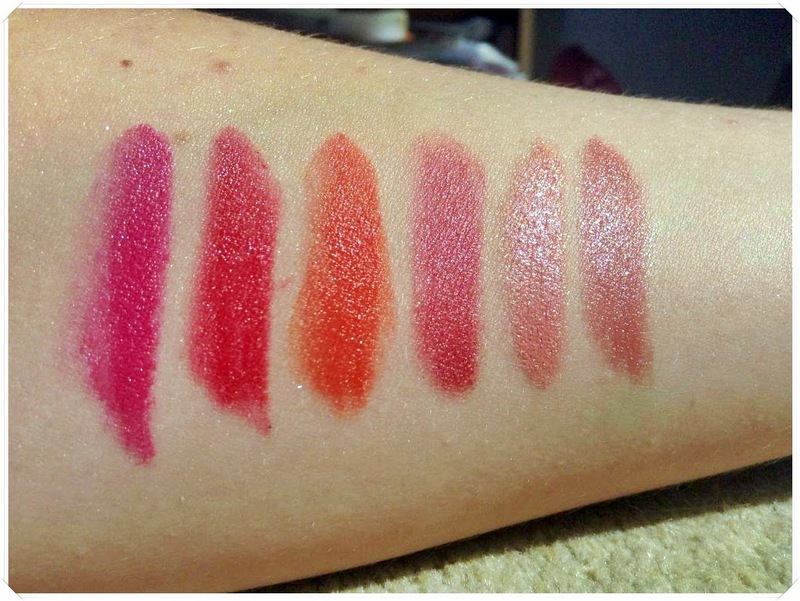 Look at the swatches! They speak for themselves really. 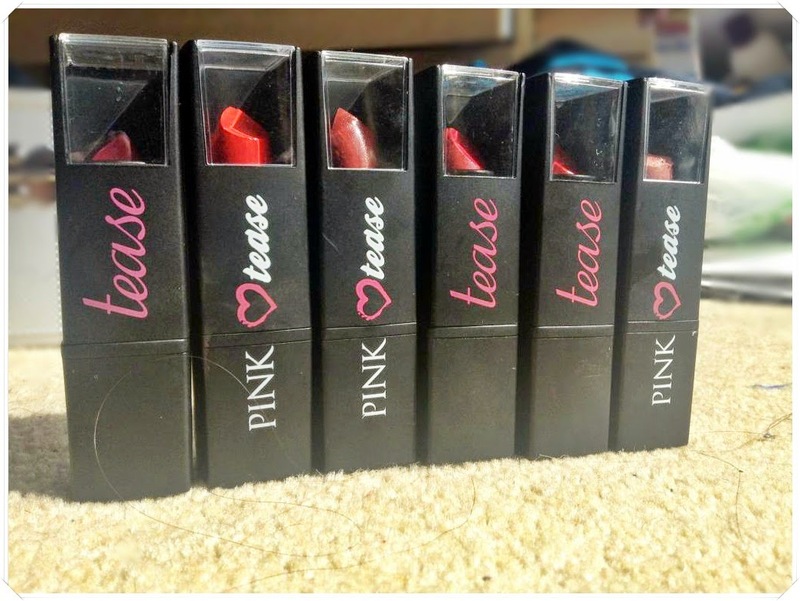 They're so pigmented, they glide on the lips, and they last for a really long time without going flaky. They also have quite a diverse shade range, and they have colours to suit everyone. I especially like shade 17. One problem I had was that as you can see, one of my lipsticks is squashed. I took the lid off it, and it caught on the lipstick, and that happened. I definitely think the packaging could be a lot better, but like I mentioned, I can't complain really, as it is only one pound. One thing I really hate is the smell. 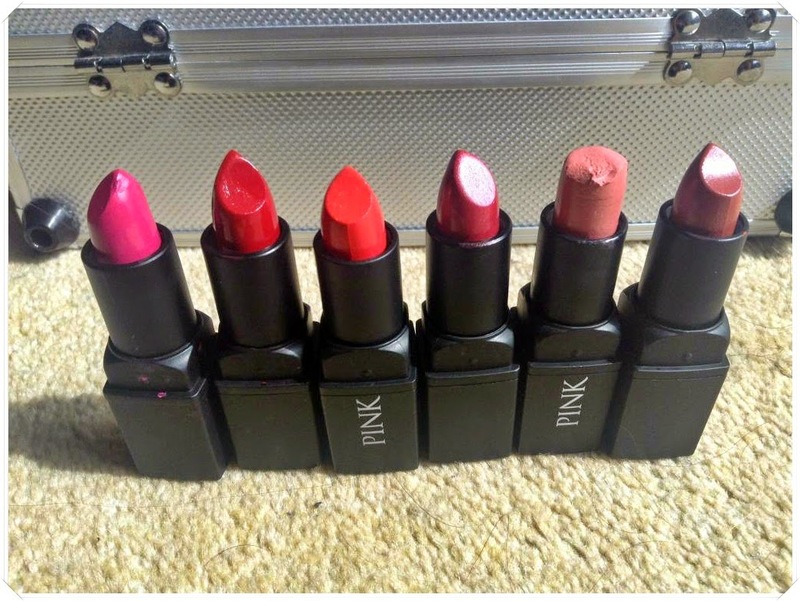 It smells really tacky, but if you can get past that, they they really are absolutely amazing, and if you have to pick up one thing from this brand, definitely make sure it's the lipsticks! 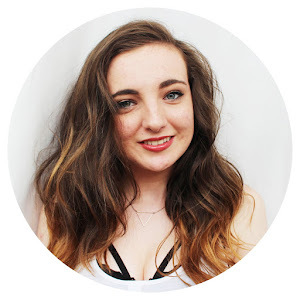 Overall I am really impressed with this brand, and I will definitely be checking out more of their things, and I definitely think you should too. 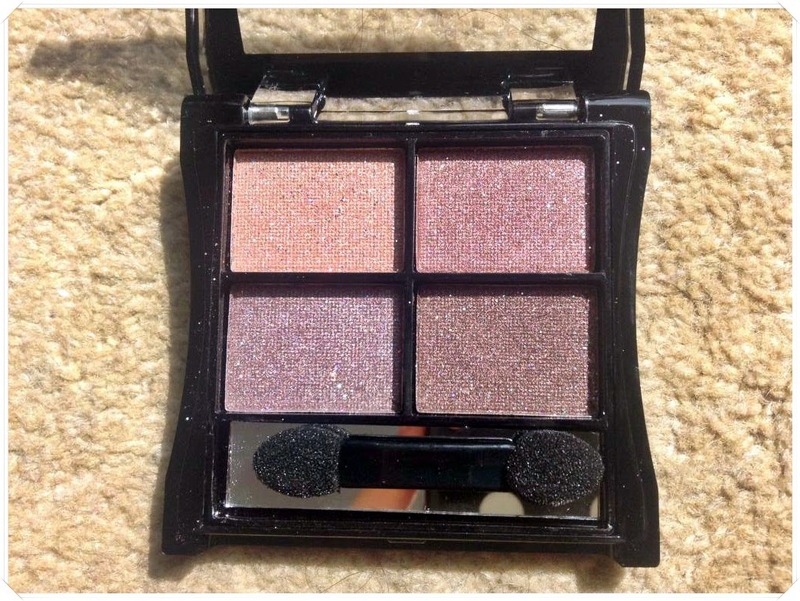 Great post, Nice eyeshadows, I like the dazzle palette the most! I definitely recommend this brand! That's a lot of products and I really like those eyeshadow palettes. Great post and I hope you have fun with trying it out.